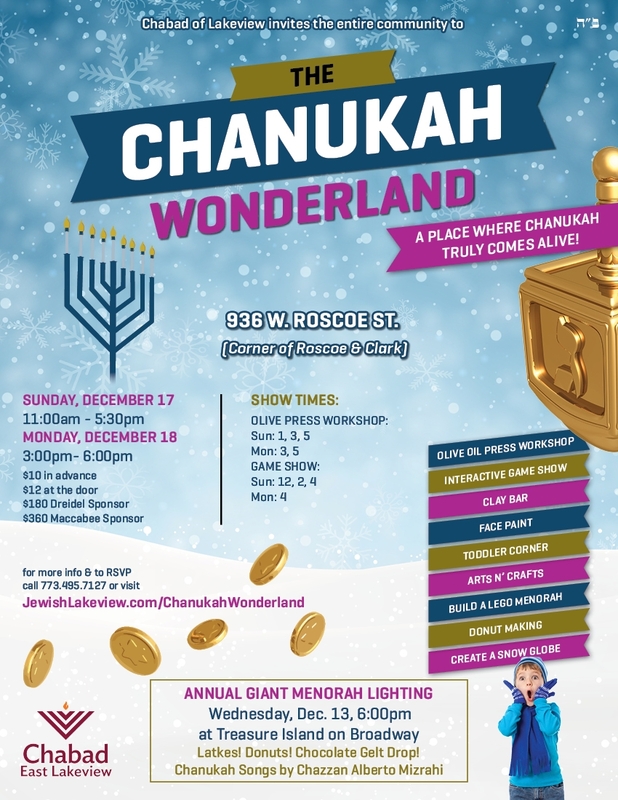 2) The Chanukah Wonderland - Where Chanukah comes truly alive! Featuring: Olive oil Press Workshop, Interactive game show, Clay Bar, Face Paint, Toddler Corner, Arts n' crafts, Build a Lego Menorah, Donut Making, Create a Chanukah Show globe and much more! This event is perfect for kids ages 2-12!